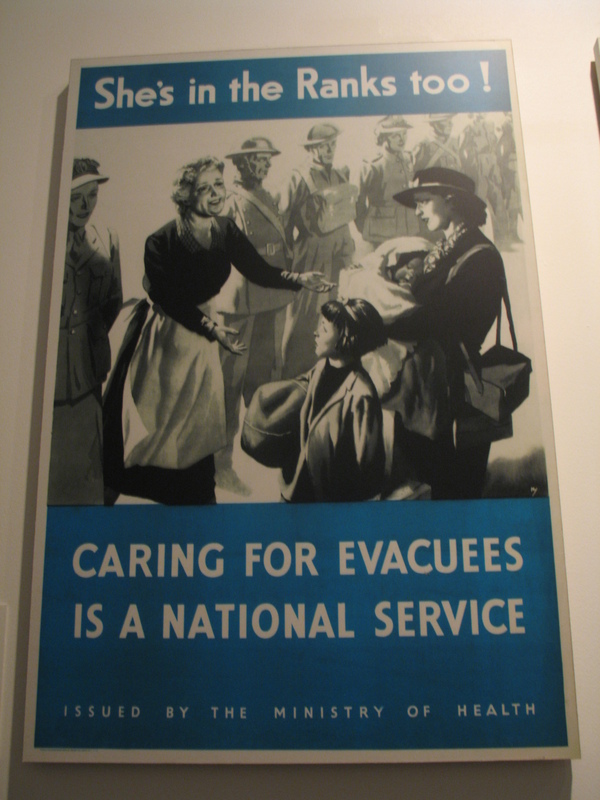 It is difficult to ignore the effects of war in London. 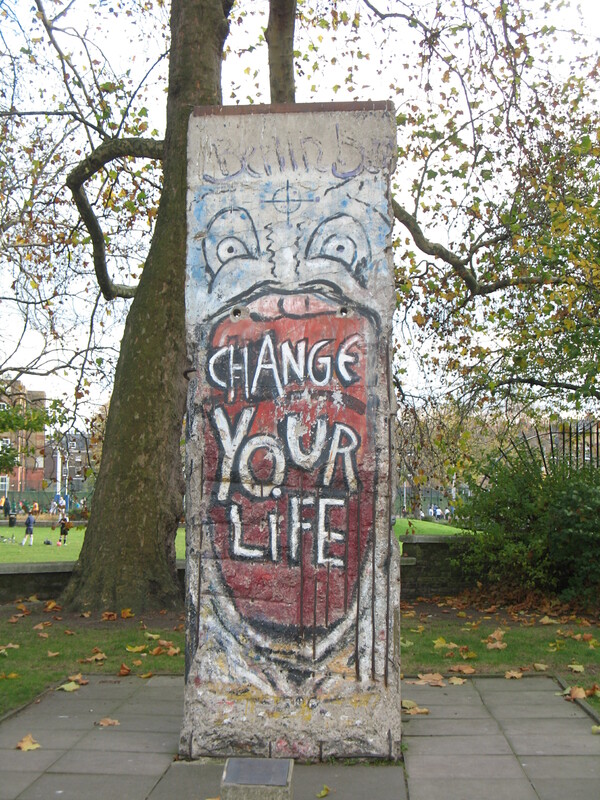 The bombings during World War II have left their marks. And then there’s the Imperial War Museum and the hit production War Horse. The imposing building of the Imperial War Museum (the former site of Beldam mental hospital) houses permanent exhibitions of tanks, airplanes, guns and helicopters. It has a Foxhole experience that you climb into to feel what it was like to be a soldier in World War I and a Blitz experience where you can feel what it was like to like to be in London during World War II. These personal experiences are eye-opening for Americans who have not had wars of this magnitude on their soil. The powerful Holocaust exhibit also creates empathy by showing personal items of victims and video recordings of survivors sharing their war experiences. Several of the exhibits are not recommended for children under age 13. I was fortunate to spend some time with educators at the Museum. The Learning Department has Family Education programs for out-of-school offerings and Formal Education programs that serve their large school audience. Education programs on the Holocaust exhibit have been developed for secondary school children (Grades 9-12) and those programs alone serve more than 30,000 students a year. 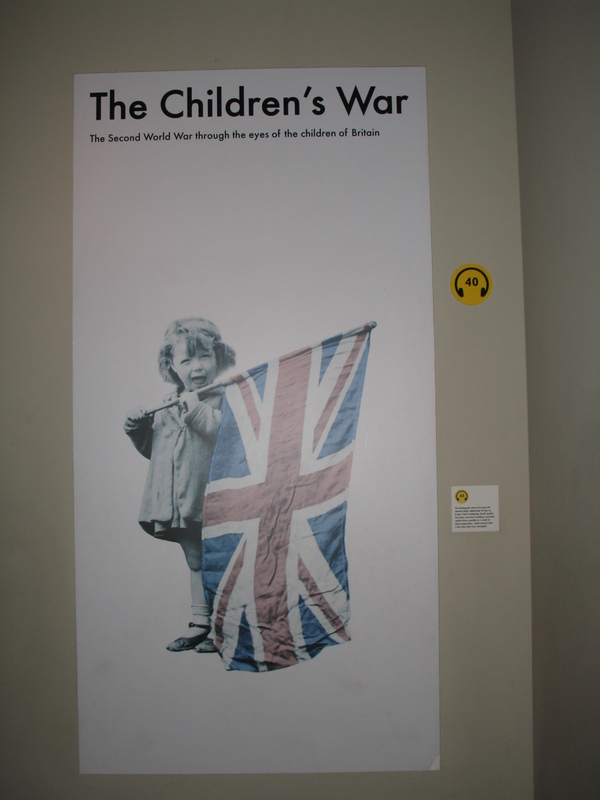 The Children’s War exhibit is geared more for the primary school children (Grades 4-8). The Learning Department is doing its job well. 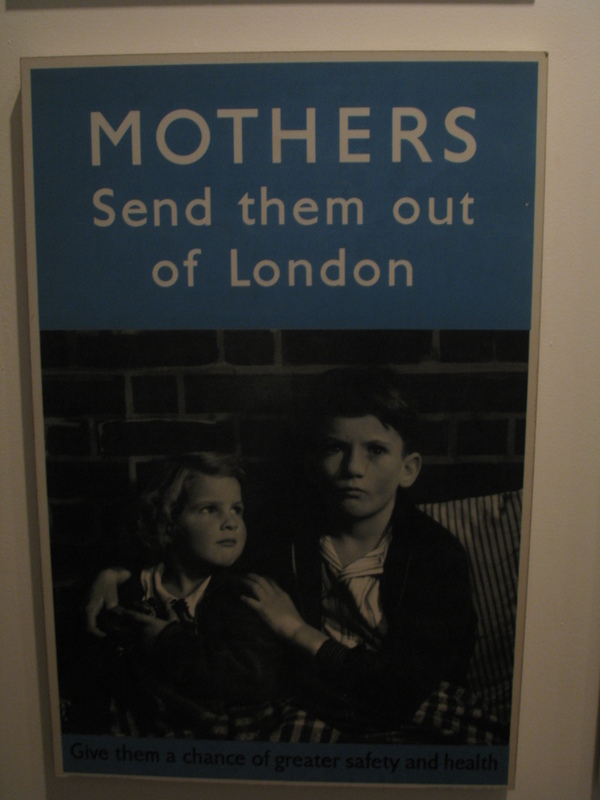 The children I saw at the Museum were interested and engaged in the exhibits, and took the subject matter seriously. 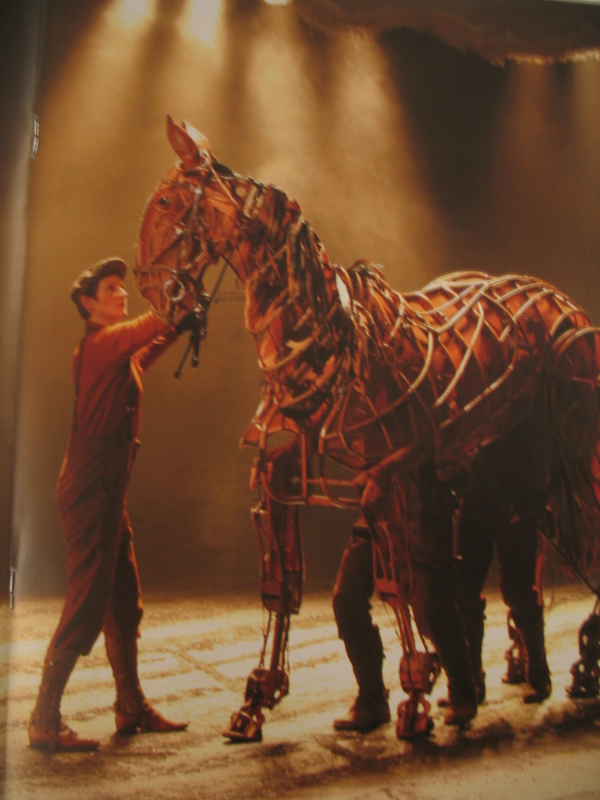 I also was fortunate to see the brilliant production of War Horse. Based on Michael Morpurgo’s children’s book, War Horse is an incredibly moving story about a horse that is thrust into the chaos of the First World War – the last war to use horses as the major form of transport. The story shows the strong bond between the horse Joey and his young master Albert. When Albert’s father sells Joey to the army, Albert promises they will be united. The action follows both of their lives as they maneuver through the trenches, barbed wire and madness of war. All the horses and farm animals in the production are portrayed by puppets and puppeteers. The puppets were fascinating pieces of artistry and engineering. The adult Joey had at least three people operating and voicing him. After a while you either stopped noticing the puppeteers, or you began watching them closely to see how they were moving this amazing piece of machinery. It made the animal characters no less real to see the workings behind their anguish and joy. War Horse has been included in children’s libraries and bookstores since it was published in 1982. The play has been in London for many years, opening at the National Theatre in 2007 and playing at the New London Theatre since 2009. I understand that Steven Spielberg is now making a major motion picture of War Horse. It’s always good to see a children’s book on the world stage. And it is positive to see that children are also on the world stage, learning about the foibles and follies of our past. I am so envious of you for the opportunity to see the production of “War Horse”. I have been fascinated with the puppets ever since I first became aware of them a few years back. The film opens this Christmas and I believe that a stage production is coming to LA, so I might get a chance to see the puppet masters at play. More good luck that you were able to see this germane exhibit. I imagine that it is bittersweet to face the end of your adventure? Yet, you are still there, so in the paraphrase of Ram Das “Be there now”. I LOVED War Horse. It has to be one of the best productions I’ve ever seen in my entire life. I keep forgeting that the film will open sooner there than here. I don’t think it will open in London until quite a bit later. It will be interesting to see it on film also. I imagine the play will still be more powerful – it is just so much more personal. You are right, it’s starting to get bittersweet, but we are still here for a few more weeks, so we will follow Ram’s advise and BE here!